It started with a love for candles. 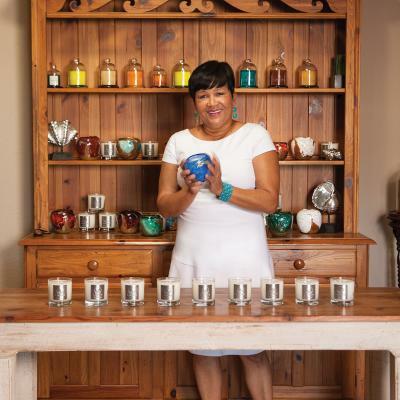 Company founder Sharie Hendricks always had them burning in her home when guests would visit. 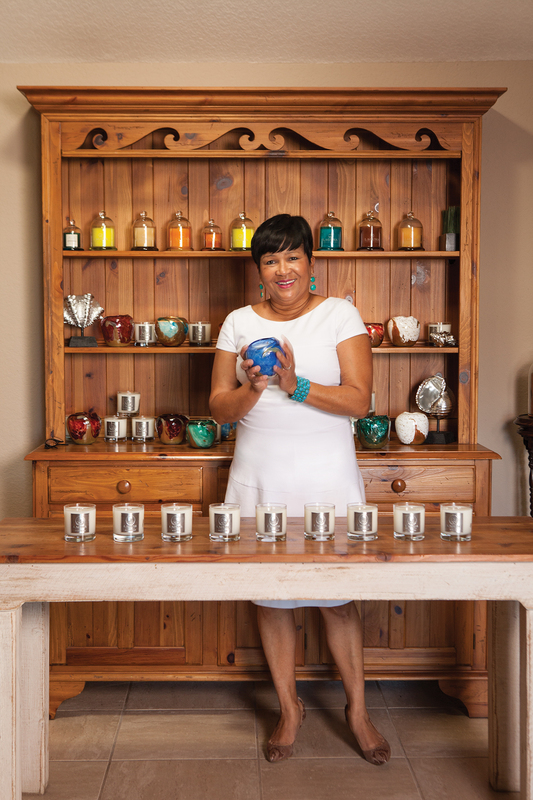 In 2003, with the help of her husband, Clarence, a marketing photographer, she launched Laguna Candles. Her aim was to produce and sell clean-burning candles made from a soy blend. 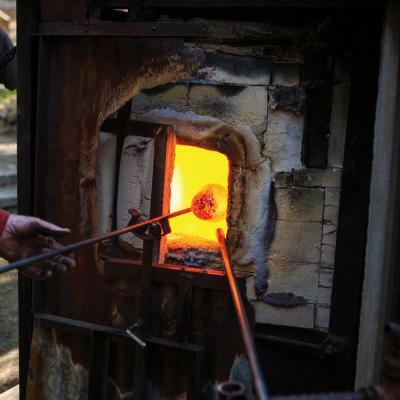 After she launched her Coastal collection—hand-poured candles displayed in minimalist glass containers—Hendricks reached out to the arts community in Laguna Beach to commission one-of-a-kind vessels. The result is her Heirloom Artisan collection. 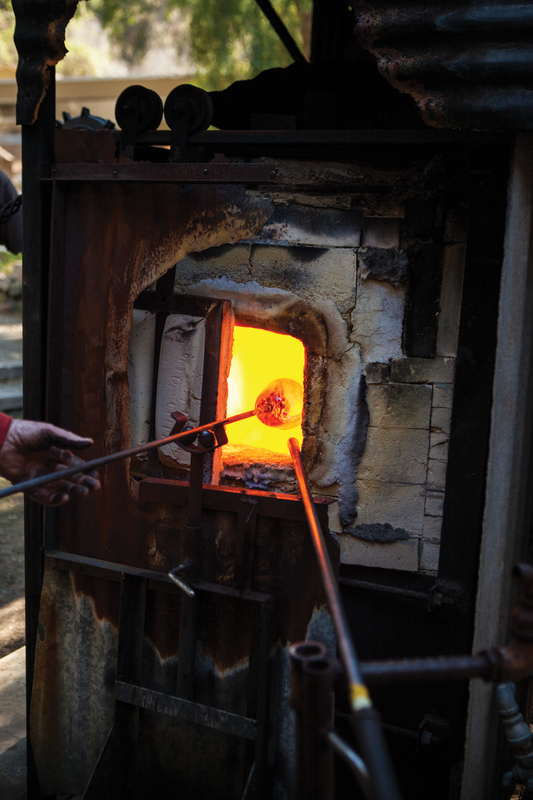 John Barber Glass Designs makes the hand-blown, silver-infused glass bowls in various bright colors. Then Hendricks fills them with a blend of soy wax and coconut oil that’s infused with scents created with the help of perfumers. “Once you’ve finished the candle, you’re left with an original art piece that you can continue to display,” Hendricks says. Over the years, the whole family has become involved. The Hendricks’ grown daughters, and a granddaughter, now handle the financial, creative, and social media aspects of the business. 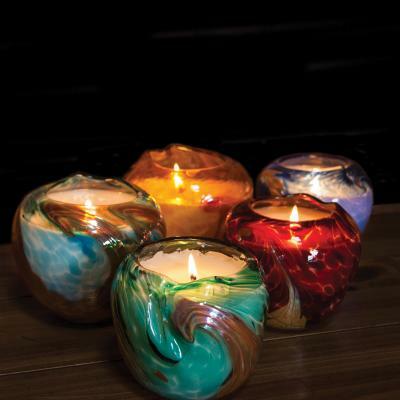 Although the candles are sold online, most of the orders are from hotels, such as the Grand del Mar, and corporations that want private label collections.